15% OFF Now-5/25/19! BEACH VIEW! Modern @ Resort! Pool~Hotub~Gym + VIP Perks! 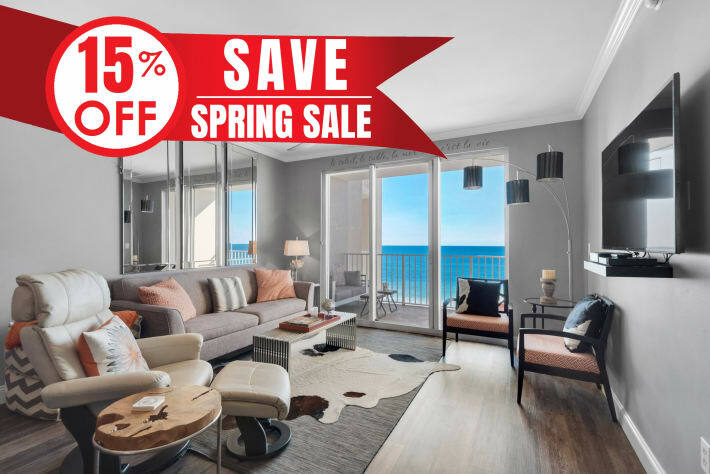 15% OFF Now-5/25/19 DLX BEACH VIEW Condo @Resort! Pool~Hotub~Gym + VIP Perks! 15% OFF Now-5/25/19! ~BEACH VIEW~ Updated DLX @Resort! Pool~Hotub +VIP Perks! Welcome to Majestic Sun Condos, located beachfront at the Seascape Resort in Miramar Beach, Destin, FL. You will think you're in paradise throughout your vacation here at the Majestic Sun, enjoying the Emerald Coast at the fullest. The luxurious high-rise condominium complex is separated into two different buildings with each of them offering 140-units, among 12-floors; all offering guest stunning views of the Gulf of Mexico. The Majestic Sun Condos are available in 1-Bedroom, 2-Bedroom, 3-Bedroom, along with Penthouses. There are multiple floorplans available at the Majestic Sun Condo Resort; featuring beautiful vacation rentals from 800 to 5,000 square feet with private balconies. Majestic Sun Condo Rentals in Destin, Florida were developed in 2001 and have been a popular destination among tourist for the past 15 years. There is 2,000 feet of beachfront access for couples, family and friends to enjoy. You will find the multi-level indoor/outdoor pool with cascading waterfalls and hot tub to be another way to enjoy the water & sun. The 18-hole championship golf course, 8-tennis courts, fitness facility, fishing at Stewart Lake, along with much more, completes an amazing vacation experience. Majestic Sun Destin FL is in a great location, allowing you access to many of the popular attractions, activities, shopping and dining; just a short drive or walk away.